Notice that we added SCOTT to the beginning of the EMP table reference. This indicates, of course, that we want to query the EMP table in the SCOTT schema, and sure enough there is the table. A schema is another word for a user. While a ?user? is an account you can log into, every user also has a ?schema,? which is a virtual space for the user to create their own objects. So what does that make the words ?Users? and ?Schemas?? Synonyms, of course! However, it would be a bit of a pain to have to always prefix all SQL calls to the EMP table with SCOTT, there must be an easier way. There is, the way is called synonyms. In the following sections we will discuss the creation and removal of synonyms. Generally good DBA?s try to avoid public synonyms. They do make management of the database a bit easier, but they also have security and performance issues associated with them. Hence, try not to use public synonyms unless you have to. 1. Local objects will always be accessed first. 2. If a local object does not exist, the object with a private synonym will be accessed. 3. If a private synonym does not exist or the object does not exist, then the public synonym will be used. Note that a synonym can be created for an object that does not exist, and an object with an associated synonym can be dropped without removing the synonym. This can cause all sorts of interesting problems for DBA?s, so be careful. Changes to synonyms often result in invalidation of PL/SQL program units, which causes time-consuming re-compilation of the program units. Prior to Oracle Database 10g, when a synonym was re-created, the status of any dependent PL/SQL program unit was set to INVALID. If you did not recompile the PL/SQL program units manually, they would recompile automatically the next time they were invoked, causing runtime performance overhead. 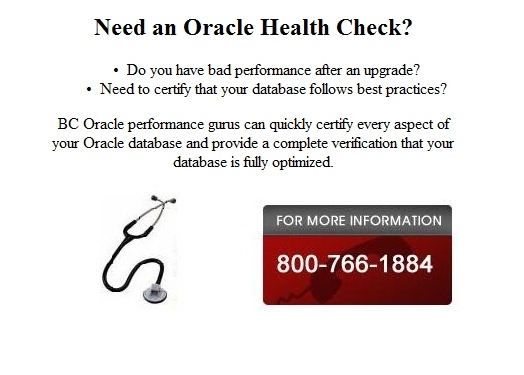 Now, Oracle Database 10g introduces automatic validation of PL/SQL program units, which determines whether program units will have to be invalidated. This is only the case in the following circumstances.
? The column order, column names, and column data types of the tables need to be identical.
? The privileges on the newly referenced table and its columns are a superset of the set of privileges on the original table. These privileges must not be derived through roles alone.
? The names and types of partitions and sub-partitions need to be identical.
? The tables are of the same organization type.
? Object type columns are of the exact same type. In the case of views, just like PL/SQL program units, even when the synonym definition is changed, the dependent views will not be validated. However, this only happens when certain conditions are met. All the conditions specified for PL/SQL units are relevant here also.
? Columns and order of columns defined for primary key and unique indexes, NOT NULL constraints, and primary key and unique constraints must be identical.
? The dependent view cannot have any referential constraints. The column order, column names, and column data types of the tables need to be identical. The privileges on the newly referenced table and its columns are a superset of the set of privileges on the original table. These privileges must not be derived through roles alone. The names and types of partitions and sub-partitions need to be identical. The tables are of the same organization type. Object type columns are of the exact same type. Columns and order of columns defined for primary key and unique indexes, NOT NULL constraints, and primary key and unique constraints must be identical. The dependent view cannot have any referential constraints. This is an excerpt from the bestselling "Easy Oracle Jumpstart"